Today Asus' Zenfone 3 family has become even bigger, welcoming two new members. 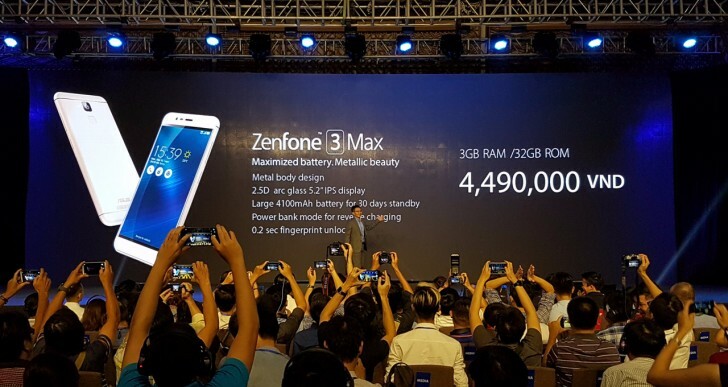 Following the introduction of the Zenfone 3, Zenfone 3 Deluxe, and Zenfone 3 Ultra from May, the Zenfone 3 Laser and Zenfone 3 Max are now official too. They have been announced at a special event in Vietnam, and for now all we have are the pictures shot at that conference since Asus hasn't provided any official renders of the new models. 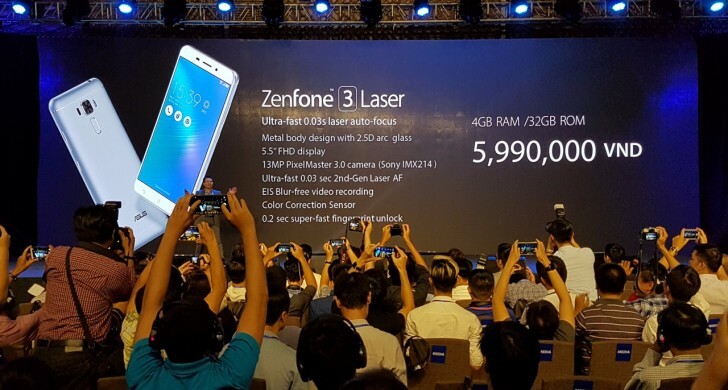 The Zenfone 3 Laser is supposedly the successor to the Zenfone 2 Laser, as its name implies. It comes with ultra fast 0.03s second-generation laser autofocus system for its 13 MP PixelMaster 3.0 camera that uses the Sony IMX214 sensor. The camera features electronic image stabilization too, and a color correction sensor. The phone also has a metal body, a 5.5-inch 1080p touchscreen with 2.5D glass on top, 4GB of RAM, 32GB of built-in storage, a fingerprint sensor, and 7.9mm thickness. In Vietnam, it will cost VND 5,990,000, which is about $268 or €241 at the current exchange rates. The Zenfone 3 Max features a 4,100 mAh battery, which is huge but still a step down from the original Zenfone Max's 5,000 mAh cell. It too boasts a metal body, as well as a 5.2-inch IPS LCD touchscreen, 3GB of RAM, 32GB of storage, and a quick fingerprint scanner. It will cost VND 4,490,000 ($201, €181). That's all the information we have for now, hopefully Asus will soon decide to share full spec details of these two phones - along with when we might see them in stores outside of Vietnam. its rumored to have the MTK6xxx as well.